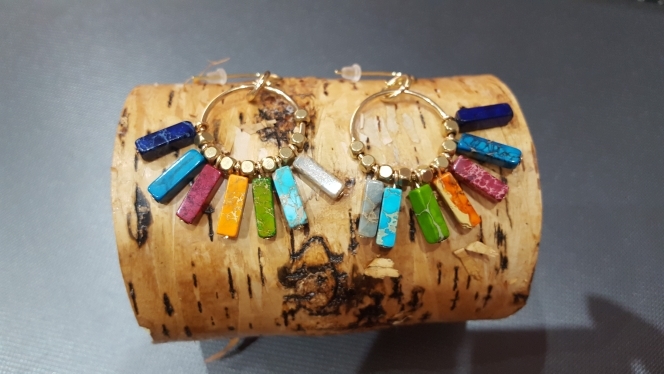 A beautiful pair of natural Chakra earrings. Made from brightly coloured pieces of Jasper they are beautifully unique and stand out from a mile away. 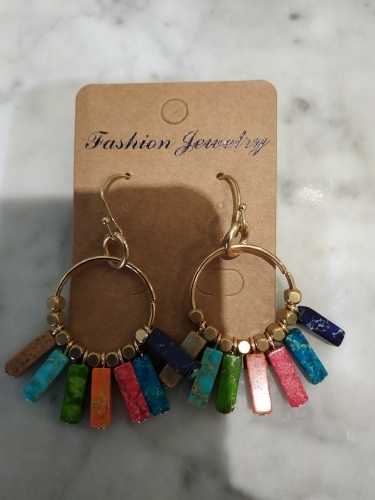 Each earring consists of seven separate shards of stone attached to the earring with a gold-plated hoop. Just like in the picture. The stones are very nice!